Important poems by the late New York poet published in The New American Poetry, Evergreen Review, Floating Bear and stranger places. Often this poet, strolling through the noisy splintered glare of a Manhattan noon, has paused at a sample Olivetti to type up thirty or forty lines of ruminations, or pondering more deeply has withdrawn to a darkened ware- or firehouse to limn his computed misunderstandings of the eternal questions of life, coexistence, and depth, while never forgetting to eat lunch, his favorite meal. 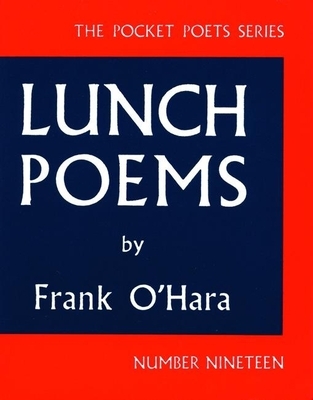 Among the most significant post-war American poets, Frank O'Hara grew up in Grafton, MA, graduating from Harvard in 1950. After earning an MA at Michigan in 1951, O'Hara moved to New York, where he began working for the Museum of Modern Art and writing for Art News. By 1960, he was named Assistant Curator of Painting and Sculpture Exhibitions at MOMA. Along with John Ashbery, Kenneth Koch, James Schuyler, and Barbara Guest, he is considered an original member of the New York School. Though he died in a tragic accident in 1966, recent references to O'Hara on TV shows like Mad Men or Thurston Moore's new single evidence our culture's continuing fascination with this innovative poet.